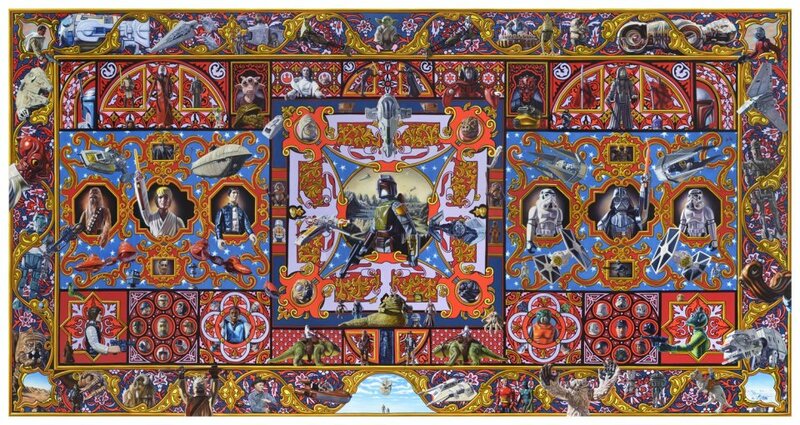 This Star Wars mural was created by artist Robert Burden. It’s a tribute to the classic Kenner toys that many of us grew up with. Numerous action figures are represented as well as the vehicles from the vintage toy collection. In all, it took him 2,000 hours and 18 months to create it. 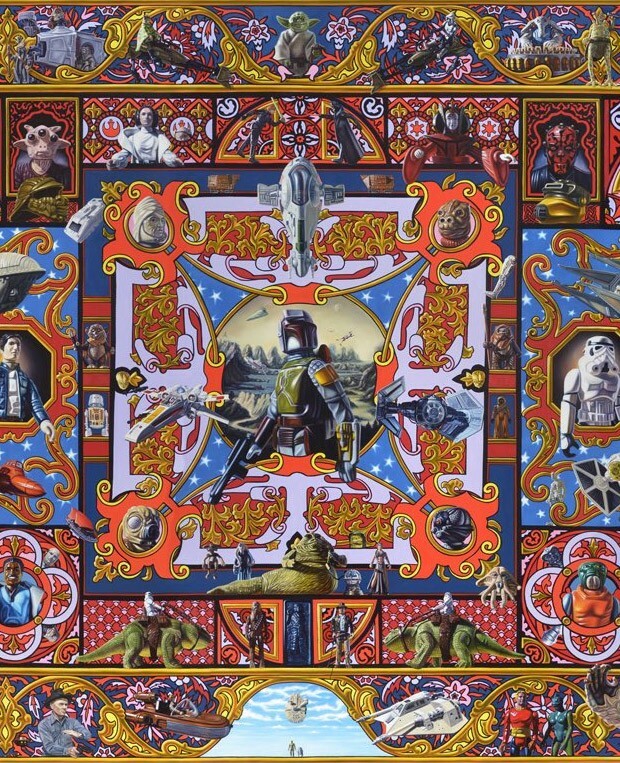 The full-size mural, titled The 20th Century Space Opera, measures an impressive 15′ x 8′ and is an oil painting. It even has some references to the influences that helped create Star Wars, like Yul Brynner in The Magnificent Seven and it has some newer toys too, but it is mostly vintage stuff. If you want to see it in person, it will be at Star Wars Celebration next month, where yo can even buy a 36″ x 24″ print to take home. The original is selling for $200,000(USD) if you have the money. This thing is awesome – it’s the ultimate homage to Star Wars toys.